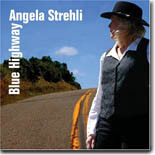 Veteran lady vocalist and composer Angela Strehli has a recognizable, seasoned blues voice. Blue Highway (M.C. Records) is her first album in seven years, a presentation of well-sequenced, logical themes. Good job on album graphics too, among her myriad photos is one of Texas garb, another sitting on the back of a disabled California Buick Wildcat hardtop, ca. 1970 model. Rocking from the very start, we visit “Austin’s Home of the Blues.” She calls many by name, most by now late greats, who have played regularly at Antone’s. She wrote it for a documentary film. Her band is double-guitar’d, and the guest list here is impressive: Maria Muldaur, Marcia Ball, Paul Thorn, Tom Duarte and, from the archives, Stevie Ray Vaughan. In her self-penned liner notes for each track, she is very humble, downplaying her immense stature in Austin blues history. Geographically we travel to Mexico, Tom Duarte’s “Spanish” guitar a nice touch, as are the linguistics. The timeless topic of love must be included, then the closing live Carnegie Hall 1985 track where Stevie Ray and Double Trouble invited Strehli on-stage to deliver “C.O.D.” (credited to L. Gooden, many have said it’s Albert King). Angela is full of confidence, energy, and Texas. In fact her vocal power is seamless between the newer recordings and this vintage tape, the audio holding up well. Otis Taylor is menacing. Just glance at the cover photo of his 2005 release, Below The Fold (Telarc), his seventh release, and you can tell he has a chip on his shoulder. This attitude works for his music, which he calls “trance blues certified,” if not so much for his vocals. He’s certainly forged his identity after experience with rockers Tommy Bolin, Zephyr, and others, subtitling his work “minimalist blues.” Today he uses much commentary as selection setup, storytelling live, and in print on CD releases. In addition, photos of African-American soldiers of the 10th Calvary from Taylor’s personal collection well-decorate this new release and keep up with the continuous Otis Taylor statement of artistic purpose. The music indeed is groove, or “trance” based, the audio is excellent and backup musicians lend themselves well to the tapestry. A trumpet occasionally is high in the mix. Percussion underlies maybe half the tunes. It is Taylor’s approach to his line delivery I wonder about, very repetitive, speaking instead of singing, and ad-lib-sounding. This constant overplay feels like a crutch, as if he forgot the words or can’t come up with anything else. The best of the selections are those written with a simple, attractive, musical structure. There’s no doubt about what’s on his mind. It’s best to follow the very brief liners inside the jacket while listening to each track. On the opening title, the danger of black people to demonstrate for civil rights in the 1960s is notated. Then musically in a feel more like the Civil War, fiddle, banjo and marching drum play behind the vocal “Tell the white man ‘ain’t nobody gonna move.’” Mandolin is featured, as well as electric guitar. Cello is played by Ben Solle on this disc. Prostitution, death, old age, and sexual identity continue the tour. Cassie Taylor sings engagingly on (Daddy) “Working for the Pullman.” She plays bass on the rest of the disc. Heavy civil rights matter continues on music of the 1914 Ludlow Massacre in Colorado, money meets evil, Germans killing white and black soldiers, ending fittingly about the triumph of true love in march tempo, harmonica added for buoyancy . 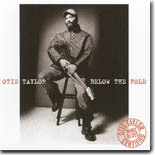 Otis Taylor hasn’t taken the easiest path to being a recognized musician. His anger isn’t channeled as artistically as say a Charles Mingus or Pete Seger. To see him live, his body language, attire and overall conduct come across as against the grain. But he is becoming successful. “I’m good at dark, but I’m not a particularly unhappy person.” He tours among the bigger festivals and among his recordings, “Double V” won Blues Album of the year in Down Beat Magazine critic’s poll. His topics and opinions must be dealt with in society, much less art. His canvass is rough and prickly. She’s done it again. But why should that surprise? After 30 albums on several labels, Maria Muldaur has always sung the blues --- as a teenager in Greenwich Village, under the tutelage of long-lived Victoria Spivey who was a star in the ‘20s, to a logical progression thru the Even Dozen Jug Band, and of course Jim Kweskin’s Jug band. All this preceded “Midnight At The Oasis,” the remake of “Don’t You Feel My Leg,” and the good-sized hit “I’m A Woman,” penned by veterans Leiber and Stoller. Since affiliating with the Canadian Stony Plain label, Ms. Muldaur has focused on a very definite reference point, a pre-war southern country blues sound. This Sweet Lovin’ Ol’ Soul is a follow-up to Grammy-nominated Richland Woman Blues which won an Indie Award for Best Traditional Blues Album of the Year. Her releases on this label now number four. I haven’t heard them all, but Richland and this latest are all-acoustic. She penned her own liner notes: “100 years later this soulful, innovative music is as relevant and moving as when it was first created....It will continue to be vital and relevant because with grace, wisdom, pathos and a good dose of humor, the blues poetically testify to the common feelings and concerns that have always been a part of the human experience and are not likely to change or go away any time soon. This is a bluesy old world, maybe now more than ever...” Amen, sister! Muldaur chose on this CD to expand on Memphis Minnie’s music. In this regard she utilized two players, Ms. Del Rey and Steve James, who specialize in recreating the Memphis Minnie/Kansas Joe double-guitar sound (they are also vocalists in their own right). It appears Minnie was associated with “I Am Sailin’,” “Long As I Can See You Smile,” “Lookin’ The World Over,” and “Tricks Ain’t Walkin’,” a street-walking depression saga. “She Put Me Outdoors” is credited to Memphis Minnie and then confusing is the composer credit also to Minnie for “I‘m Goin’ Back,” when Muldaur says in the notes that it was a Bessie Smith/Clara Smith duet. At any rate the Bay area’s Tracy Nelson, a very in-demand studio voice, joins Maria for the recreation. There’s a big Bessie Smith number, “Empty Bed Blues,” featuring the piano of Dave Mathews. Taj Mahal sounds uncharacteristically forced on vocal during “Ain’t What You Used To Have,” once done by Butterbeans and Suzy, a vaudeville duo known for X-rated, double-entendre material from the pre-WWII era. Early in the program sequence Maria revels in going back to her jug band roots with the title track. On it she features, and dedicates the album in part to, Fritz Richmond, “simply THE BEST jug player EVER.” Listen closely, it’s rare to hear a well-recorded jug! For “She Put Me Outdoors” the innovative Alvin “Youngblood” Hart is guest. Normally retro and forward simultaneously, representing the current generation of blues players, here he sounds very atypical. Pinetop Perkins, in his early ‘90s, plays piano on “Decent Woman Blues,” the only track sounding remotely urban. Concluding the program is a gospel recorded by Blind Willie Johnson in ’29, “Take A Stand,” where Taj Mahal returns on guitar, vocal and banjo. Chemistry and joy are evident. Muldaur’s voice is so seasoned you can practically see the theatrics that she’s known for live, jump out of the speakers. Commendable are guests of recognized names from the present-day area of Highway 61 and beyond. She also has a follow-up album of like-material already in the can. Stay tuned. You’ve got to love a woman who’s not afraid to say exactly what’s on her mind. And while Candye Kane is definitely an acquired taste as an artist, she is also one who is capable of producing exceptional records. White Trash Girl, recorded for Ruf Records, may very well be the defining record of her recording career. It’s controversial, endearing….and most of all….great blues. In going back to her early days in Austin, Texas as a recording artist for Antone’s records, Candye enlists the aid of Kaz Kazanoff and the Texas Horns, Gary Primich, Preston Hubbard, Riley Osbourn, Stuart Sullivan, Jeff Ross and Damien Llanes to release her most complete record to date. Ably produced by Kazanoff, White Trash Girl will grab your attention and hold it throughout. Opening with the title cut, Candye proudly proclaims that she is indeed, a white trash girl. But to her…being white trash is a badge of honor….not a discriminatory distinction. "Estrogen Bomb" warns us all to be afraid of all creatures female. Hormones have a major effect on all of us and too much estrogen will obviously have an impact on the female psyche. Candye’s rendition of what to be afraid of in the presence of too much estrogen is a wonderfully clever tune warning all of us males to be extremely cautious around hormonal females. What Happened to the Girl is a tune of longing for a lost friend and confidant. An original tune, you feel Candye’s sense of loss for her friend and she follows it up with the Sebastian John Benson tune, "What a Day for a Daydream." "Big Fat Mamas are Back In Style" is a true Candye Kane anthem, extolling the virtues of big women…they’re back in style again and she’s proud to be one of the. "Queen of the Wrecking Ball" portrays Candye as a heart breaker….one who rules the land of broken hearts, dreams and promises….you want to take cover in the presence of the Queen of the Wrecking Ball! "Misunderstood" is a classic ’50s style ballad that proclaims that Candye is not misbehaving…she’s just misjudged and ultimately misunderstood despite having the best of intentions. "I Wanna Do More" continues the ’50s swing feel with the understanding that she will do everything she can to please her man and make this relationship work. "It Must Be Love" offers a diametrically opposed look at relationship…..it seems the only time that things are working is when the lights are out….the daylight hours are spent arguing and driving each other crazy….It must be love! The upbeat "Work What You Got" proudly proclaims that all any of us can do is work with what we got…whatever our virtues are, Candye is telling us that all we can do is put our best foot forward and work it…work it proudly. Things slow down again with the original tune, "I Could Fall for You," a heartfelt ballad that a wonderfully sincere look at the way this woman feels about her current love. "Mistress Carmen" speaks to the charms of the queen of the neighborhood…a woman who has complete power over all of the men in her life…one who Candye hopes to emulate and learn from. The next song on the album, "Masturbation Blues," is pure Candye Kane at her best. Not everyone can sing about self love like Candye does…and pull it off. Some might think she’s controversial, but it’s just Candye being Candye, and there’s no one else like her in the blues world today. White Trash Girl closes with "Let There Be Peace on Earth," sung in gospel fashion with a heartfelt wish for peace amongst all of our brothers and sisters. An interesting close to an album chock-full of surprises and treasures. Say what you will about Candye Kane, White Trash Girl proves that she an extremely capable artist who isn’t afraid to challenge our view of the world…you’ve got to love her for that! Renee Austin has come a long way since her nomination for Best New Artist debut at the 25th Blues Music Awards (formerly the W.C. Handy awards). Her newest release on Blind Pig Records, Right About Love, shows an artist who has grown both artistically and vocally, a good sign that Renee is going to be with us for quite awhile. "Mouth of the Delta" has a revivalist feel to it and takes the listener back to the roots of blues, the days of cotton farming and indentured labor. It speaks of hope, salvation and a new day to come. It’s a very powerful opening song for this record. Austin’s vocal performance is blistering and sets the tone for the rest of the record. She moves on to the topic of love in "Harder Than It Has To Be," a song about knowing that a relationship has run its course and it’s time to leave. We both know it’s over, just let me go. "Right About Love" then expresses the hope that this time, she’s gotten it right. Having been alone for awhile, she’s wishful that this lover will prove to her that he’s here to stay and the relationship will last. "U-Haul" has a playful message for boys and their toys. Many of us spend lifetimes compiling an enormous amount of possessions and you just can’t take them with you. “Heaven ain’t Las Vegas…I can think of some place worse…you can’t pull a U-Haul behind your hearse” pretty much says it all. It’s an upbeat song with a Dixie Chicks, Sin Wagon feel that is reflective of Austin’s Texas roots. "Strangers on a Train" is a reflective song about two lovers who never really knew each other, their relationship exists on a level that fails to allow for the intimacy that she really craves. “Let me introduce myself…after all these years I don’t believe we’ve ever really met” laments the sadness of the relationship they’ve stayed in for too long. The next two songs, "Bugs" and "Chicken Coop," are just funky, fun songs. "Bugs" is a Bobbie Gentry tune that reflects on all of the annoying insects we come across and do nothing about. "Chicken Coop" tells the story of a woman whose man has strayed to the local house of ill repute. Her solution is to be in the line-up the next time he visits and lay down the law of how their relationship is going to continue. It’s a creative solution to a familiar problem and very well done. "That’s All Right" finds Austin singing a familiar Arthur Crudup tune with a taste of ragtime in it. “The boy is bad but that’s all right, poppa.” The last song on the album, "Mister Cowboy," oddly feels out of place on the record. It has a Texas waltz flavor to it that has me seeing Renee performing at the Austin, Texas roadhouse, The Broken Spoke, as opposed to a blues club. But make no mistake about it, Right About Love is a very good record. Austin shares writing credits on nine of the 11 tracks and vocally is the strongest I’ve ever heard her. Maturity in an artist is something we all look for and Renee’s progression from the independently released, Dancin with Mr. Blue to her first Blind Pig Release, Sweet Talk, to now is impressive. I look forward to hearing what her next recording brings. Anything Can Happen is the latest Magic Slim and the Tear Drops release on Blind Pig Records. Conceived as a dual CD/DVD project, the recording took place at the Sierra Nevada Brewery in Chico, California. The Brewery is the site of a blues series on cable television and a number of recent releases have been recorded there. That said, you have the feeling as a listener that this is a record the Slim really wanted to make. The show opens with "I’m a Bluesman," and Slim goes straight to work picking notes and pushing the Tear Drops to their limits. He wants you to know that “he’s got the blues deep down in his heart” and there’s no mistaking it. Moving on, he makes sure you know that he may not be the man you want, but he is…The Man You Need. On "The Man You Need," Slim is just getting started picking the notes he wants you to hear. The recording quality throughout is outstanding for a live recording and everything comes through crystal clear. "Goin to Mississippi" gets everything rolling in high gear. 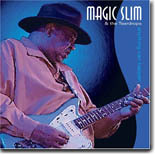 Magic Slim is ably backed by Jon McDonald on guitars, Vernal Taylor on drums and Chris Biedron on bass. Their collective years of playing together are readily apparent on this record. The interaction between McDonald and Slim is seamless, Taylor and Biedron provide a stable, thematic, rhythm section, it’s just a very tight recording and a testament to their years together. "Black Tornado" is an instrumental that lets Magic Slim fire up his Fender and just get after it. Moving on to "Please Don’t Dog Me," a song about infidelity, Slim admonishes his better half to “Please Don’t Dog Me when you know you’re doing wrong yourself." "Please Don’t Dog Me" is one of the slower numbers on the record and simmers there, just waiting to ignite. It features some of Slim’s best playing on the record. "I Need Lovin" picks up the pace with the thought that Magic Slim needs both love and money. He follows it up with "Mind Your Own Business," a musical reminder that Slim is indeed, the reigning king of the 12 bar blues. "Still a Fool," a song by Muddy Waters, finds Magic Slim back in the swamps of the delta in true Morganfield fashion. I’ve not seen the DVD, but you can almost feel the sweat dripping off of Magic Slim’s brow. "Shake It" is Slim’s reworking of the classic Elmore James tune, “Shake Your Moneymaker,” and gets the crowd rolling. Slim’s energy is contagious and you can feel Tear Drops moving into high gear on this song. "I Don’t Believe You Baby" and "Get Your Business Straight" round out the album; the latter is the only other non-Slim original on the record. Anything Can Happen is a classic Magic Slim record. In the liner notes Miles Jordan of the Chico News & Review notes that, “Slim is quite likely the very last of the bred-in-the-1930s-Mississippi, matured-in-1950s-Chicago bluesmen,” and he’s right. Magic Slim is one of our last remaining delta to Chicago legends and thanks to Blind Pig Records for ensuring that we have both an auditory and visual reminder of one of our remaining blues treasures. There is nothing subtle about Walter Trout. As a longtime Trout fan, I anxiously awaited the opportunity to review Deep Trout, a retrospective look at Walter’s early work released by Ruf Records. Kudos to Ruf for giving this project first class treatment; the extensive liner notes provide rare insight into the material pulled from Walter’s early albums, Breakin’ the Rules, Prisoner of a Dream and Transition. The albums in question span the time period from 1989-1997, and contribute to our appreciation of the evolution of Walter. Opening with "How Much Do You Want" is almost apropos…it’s a blistering rocker detailing an all too common theme is music….where did the money go? It’s a song about the fact that one of Walter’s managers ran off with the majority of his tour receipts….leaving the band high and dry. It segues into the melodic "To Begin Again," which is Walter’s answer to all of his problems…the best thing to do is strap the Stratocaster back on and get to it. "To Begin Again" is cathartic…a release of all the pent up frustration that Walter had been dealing with and a call to arms to go on. Great song and an astute choice to follow "How Much Do You Want." "Put It Right Back" is one of Walter’s hardest rocking numbers and was recently covered by one of his mentors, John Mayall. The final cut from Breakin’ the Rules, "Under My Skin" is a love song with a mid-tempo gospel feel to it that is at once heartfelt and passionate. Moving on to "Running in Place," Trout delivers a wonderfully melodic ballad extolling the virtues of believing in love. The feeling you have is real…you’ve just got to believe. "Running in Place" features a great solo by Walter and is typical of his wizardry in writing ballads. The placement of "Fast Moving Traffic" as the next cut is curious. "Fast Moving Traffic" is all about the pitfalls of drug addiction. It features great fretwork by Walter, a thunderous supporting rhythm section with Trapp on bass and drummer Bernie Pershey with great sound effects. What follows is the acoustic love song "Earrings on the Table." Warmly passionate and intensely reflective, "Earrings on the Table" is an intensely personal account of a love who left. You can feel Walter’s pain at having lost this true love. "Motivation of Love" is the final cut from Transition and features two insanely intense guitar solos by Trout. It’s a hard rocking number that according to liner notes was one of the featured highlights on Walter’s 1992 band tour. "If You Just Try" is the one song included from the No More Fish Jokes – Live album. Recorded at a Danish blues festival, "If You Just Try" is a slow burning blues cut that showcases the passion of Trout’s guitar playing. Sonically, Trout is capable of capturing your attention and having you hang on every note as he does here by having his strat imitate a violin, showing indeed that Walter is a master of his instrument. The final cut, "Tribute to Muddy Waters" from Prisoner of a Dream, features Walter and the band with their rendition of the lyrics that ultimately became the basis for Jimi Hendrix’s "Voodoo Child." It’s a live studio jam that just takes off and keeps firing on all cylinders. Deep Trout includes three bonus cuts as well, an acoustic version of "Life in the Jungle" from Breakin’ the Rules that features Martin Gerschwitz on piano dueling with Walter. "Big Chain" is a song that Walter played on for the bass player, Freebo, and "So Sad to Be Lonely" is from Walter’s very early days with his band, Wilmont Mews, back in New Jersey. "So Sad to Be Lonely" showcases Walter’s fretwork at a very early age, back in the days when Wilmont Mews was competing with Bruce Springsteen’s Steel Mill as the band to see in New Jersey. Ruf did a wonderful job in compiling and supporting Deep Trout for the retrospective look back that it is at Walter’s early days. New fans of Trout’s will be ecstatic to read the liner notes and hear some of Walter’s early history….old time fans will be glad to complete their collection with a record that does their favorite blues guitar player justice. 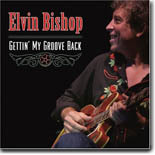 My vote for the "let’s party, get down, raise some hell and go all night" record has to go to Elvin Bishop’s latest release on Blind Pig Records, Gettin’ My Groove Back. Ably backed by a wonderful band including special guests,Norton Buffalo, Roy Rogers and Henry Butler, this record proves that seven years was much too long to wait for a new studio release by Elvin. "What the Hell is Going On" gets the party started with a rocking backbeat accompanied by what seems to be analog vocals. The echo in the can effect has you scratching your head to start with but it gives the song a unique feel and let’s you know that things are happening with this record. "I’ll Be Glad" is an anthemic testament that the bad times are over and Elvin is glad he has his groove back. Ian Lamson takes the guitar lead on "I’ll Be Glad" and his inspired playing contributes to Elvin’s upbeat take on the blues being gone. It's just a fun song that will have your feet tappin in time to the beat. The Don Gibson song, "Sweet Dreams," follows, and is the only instrumental track on the album. Elvin takes the lead back on this song and it features some of his most inspired playing on the record. "That’s My Thing" features Elvin proudly stating that playing blues is his thing. Norton Buffalo contributes some inspired harp playing; if this song won’t wake you up….nothing will. "Blues Train" is one ride we all need to be aboard. “It’s groove transportation running all across the nation.” "Blues Train" acknowledges that Elvin is getting older. While the boys in the band are passing the whiskey around, Elvin is getting his groove on with “Diet Pepsi…Caffeine Free!” My how times have changed. But at least Elvin proves that he’s more than capable of holding his own. What follows is Elvin’s ode to man’s best friend, "He’s a Dog." Elvin’s best friend just happens to be named Kirby. “He’s a dog but that’s all right with me. I’m not sure this song needs the barking dog vocals in the background but its fun. "Got to Be in New Orleans" is a testament to all things New Orleans. Crawfish, Gumbo, Tipitina's, Tchopitoulas, the Neville Brothers, all night partying --- these are the some of the things that New Orleans is famous for and soon will be again. "Come On Blues" is probably the darkest song on an album full of great energy and good times. “Come on blues, help me make it through…Come on Blues, I’m countin on you.” A little bit of distortion and some hard chord playing make this song. Elvin has gone through some tough times in the fairly recent past and "Come On Blues" seems to give him a chance to exorcise some of that pain. Elvin chooses to close Getting My Groove Back with an appropriate song, "Party 'til the Cows Come Home." I can’t help but feel that recording this record with all of his friends enabled Elvin to do just that. Danny Rhodes has been traveling around Northern Arizona for a few years now, spreading his brand of blues with the Messengers much to the delight of those who have had the privilege of seeing him live. And now he’s released a gem of an album, Cairo to Cottonwood, that features him at his best…alone…plugged in and acoustic. "Long String of Blues" opens the record and is a shuffle lamenting a string of bad luck that goes back quite awhile….”it’s been going on for days.” One can’t help but hope his luck improves. "Born to Wander" is a testament to Danny’s traveling ways. This Louisiana transplant has been all over the country playing his brand of blues and this ballad is a nice reflection of his birthright to travel. Things pick up with "Riding That Rhythm," intricate picking highlighting this tune while Danny discusses the virtues of a woman dancing to the rhythm with moves like a cat while he pontificates “I have to admit I like it like that.” Time is an observation of just how fleeting life and love really is. “All we’re looking for is a little more time.” We all have moments when we’re wishing for a little more time and Danny brings that thought to reality in this ballad that is one of my favorite cuts on the record. "Romeo" is a tale of a slick ladies man who dresses well, waxes philosophically and has all the moves the women like. Danny’s confidence wavers a little bit when he states, “If I didn’t know better he could even take away my girlfriend.” Romeo must be quite the player. The fast pace continues on "Brother Brother." “I just need someone to tell my troubles to,” lamenting that his life on the road as a trucker is difficult enough with having to deal with the fact that his girl is a player in her own right. “She ain’t home when I call her….I know she went out to play.” Cut her loose, Danny. "Lost in the Guitar" allows Danny to reflect on a failed relationship by picking up his guitar and playing the pain away. “If you ever want to find me, babe…you’ll know where I’ll be…lost in this guitar.” By far my favorite cut on this record, it was co-written with Danny by Ricky Rector and Bucky Lindsey. All of the other tracks on the CD were written exclusively by Danny himself. "Bad" promises that Danny will “get real bad if bad aint enough.” It seems every woman needs a little bit of bad boy in her man…it’s just a question of how much. "Baby Back" continues the theme with the knowledge that “got my baby back again.” You’re never really sure why she left, but Danny is very happy to have her back again. Cairo to Cottonwood is a great record by a local Arizona artist who is building his audience one listener at a time. You can order the record through Danny on his website, www.dannyrhodes.com, or through cdbaby. It’s a record you’re sure to enjoy. I first listened to Johnny "Guitar" Watson's funk recordings shortly after discovering his earlier groundbreaking West Coast blues recordings. To me, Watson's blues stuff from the '50s and '60s, recorded mostly for the Federal and Modern labels, was among the hottest blues guitar I had ever heard. Songs like "Hot Little Mama," "Three Hours Past Midnight," "Too Tired" and, of course, "Gangster of Love" are blues recordings that have a permanent place on my 'desert island' list. Well, you can imagine my disappointment when I plopped a vinyl recording of Watson from the '70s on my turntable. I wanted to hear more of that great, classic West Coast blues. Being too musically naive to understand what I was hearing, I took that LP down to the used record store and traded it in for something bluesy. Silly me. Watson had changed with the times, but he was still Johnny Guitar, that gangster of love. I had a different attitude and a much more open mind when I recently received the two-CD set, The Funk Anthology (Shout Factory), containing 31 cuts culled from eight of Watson's funk albums. Now, to my ears, this is great stuff. While he changed his style in that musically turbulent decade, Watson didn't sell out and he didn't compromise the quality of what he was putting down. He was every bit as good of a guitarist and a songwriter as when he was doing straight West Coast blues. The re-recording of "Gangster of Love," while somewhat different from his blues version, is just as good. Among the other big radio hits are "A Real Mother For Ya," "Superman Lover" and "Love Jones." My favorite cut is the rowdy and raucous "You Can Stay But The Noise Must Go," which is guaranteed to liven up any party. There are six previously unreleased cuts on the disc, including the super cool "ET," on which he compares his baby to an alien. Great music. I'm glad I've opened up the mind in my more mature years. For most people down here in Mississippi and Louisiana, the past few weeks have been pretty tumultuous (especially on the Mississippi Gulf Coast, where a 90-mile-by-one-mile stretch was basically wiped away by Katrina), but most of the attention has been focused on the plight of New Orleans. Watching the scenes of destruction on TV (once the trees were cleared and power was restored) showed as sad a scene as could be imagined and a lot of people wonder if the Crescent City would ever be the same. 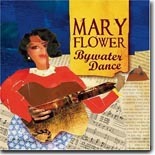 A couple of weeks after Katrina, Yellow Dog Records released Bywater Dance by guitar virtuoso Mary Flower. Long regarded as an accomplished fingerstyle guitarist who also excels at lap slide, Flower recorded the disc in New Orleans, in the Bywater area downriver from the French Quarter, in May of 2005 with a host of the city’s finest musicians providing assistance. It serves as a positive reminder of how things were in New Orleans not that long ago. The music is a mixture of old-timey New Orleans Jazz, swing, and R&B, combined with Flower’s own folk-blues style, and sounds modern and traditional at the same time. The guest musicians include such Crescent City stalwarts as pianist Henry Butler, keyboardist Jon Cleary, clarinetist Dr. Michael White, and Kirk Joseph on sousaphone. Despite all the guests, Bywater Dance is Mary Flower’s baby. Her guitar work is breathtaking and her vocals are warm and inviting. Flower wrote five of the 14 tracks here and all of them are of the instrumental variety (“Raise The Devil,” “La Grippe,” “Terminal Rag,” with White lending a helping hand, “Hudson River Rag,” and the pensive closer “Good News Waltz”). The remaining songs are an interesting and sometimes unfamiliar set of covers, noteworthy among them a poignant take on Geechie Wiley’s “Last Kind Word Blues,” a spirited version of Leroy Carr’s “Papa’s On The Housetop,” and the Red Stick Ramblers’ “Main Street Blues” is a definite high point. Flower’s cover of “Brother, Can You Spare A Dime?” is particularly moving, in light of the current state of affairs in New Orleans. While Bywater Dance serves as a reminder of the vibrancy and versatility of New Orleans’ musical tradition, it also serves as a promise that this tradition will be continued with the eventual rebuilding and restoration of the city. Yellow Dog Records will be donating a portion of the profits from sales of the album to charities working to support New Orleans musicians and preserve and rebuild the city’s musical heritage. Though most of the cuts feature only James and Hernandez, there are a few others who drop by, like Harman, who plays harp and sings on his composition, “Here’s Your Breakthrough,” Nickel Creek fiddler Sara Watkins, who plays on several tracks, notably James’ “The Well,“ and Gene Taylor of the Fabulous Thunderbirds, who contributes piano on a couple of tracks. The production, also by James and Hernandez, is first-rate and the sound is crystal clear. Anyone who digs the old bluesmen like Sonny Terry & Brownie McGhee, Hammie Nixon, and Tampa Red will find a lot to enjoy here. For more information about Nathan James & Ben Hernandez, go to their website, www.nathandjames.com, or pick the disc up at www.cdbaby.com. Zac Harmon and the Mid South Blues Revue won the 2004 Blues Foundation International Blues Challenge as “Best Unsigned Blues Band.” Harmon is no fresh-faced newcomer though. Born and raised in Jackson, MS, he honed his skills on vocals, organ, and guitar on Farish Street, influenced by the likes of local legends Sam Myers, Jesse Robinson, and Mel Brown. Harmon eventually served as guitarist for Myers, Z. Z. Hill, Dorothy Moore, and McKinley Mitchell. He even taught young Eddie Cotton to play church music. Relocating to Los Angeles in the early ’80s, he shined as a writer/producer for such acts as The Whispers, Karyn White, Freddie Jackson, The Mississippi Mass Choir, Alexander O’Neal, Black Uhuru, and the O’Jays. After awhile, however, Harmon returned to the Blues, recording a live album in 2002. This follow-up, his first studio album, serves notice that Harmon is a force to be reckoned with on today’s Blues scene. The Blues According to Zacariah (Bluestone Records) is a wild ride from the sacred to the secular. Listen to the opening track, the rousing gospel tune “That Mighty High,” and try to stay in your seat. The second tune, “Sugarman,” puts you in the juke joint with a sensual vocal and solid guitar by Harmon. He also covers Cotton’s “It’s Cool With Me” to great effect, as well as two familiar standards (“Mannish Boy” and “It Hurts Me Too,” which features Miss Mickey Champion on guest vocals). The other originals include “That’s Why” (with some impressive guitar work by Harmon), “Comfort of a Man,” a solid soul number, and “Hole In My Heart,” a quintessential blues song. With solid support by members of the Mid South Blues Revue and excellent production, The Blues According to Zacariah is an impressive effort from Harmon and leaves one wanting to hear more. In your mind’s eye, when you picture a bluesman, more than likely Brian Blain is not the image that pops up, but the Quebec native is one of the more unique blues artists you’ll ever hear. His latest release, Overqualified for the Blues (NorthernBlues Music), definitely backs that claim. Blain got his start playing rock and classical music, but settled into folk blues and has worked on stage and behind the scenes for many years as an artist, producer, manager, and writer. He is an excellent guitarist and vocally he has a pleasant style that suits his material well. The title cut is a tongue-in-cheek piece that will leave you with a smile, and “Saab Story” is a clever look at a girl and her car. As mentioned above, Blain is a great guitarist (check out his fretwork on “Sailing”) and he has some stellar support, including Harry Manx, who guests on slide guitar on “Peace,” and Paul Reddick, who contributes harmonica on the title cut. Overqualified For The Blues is certainly one of the most original albums you’ll hear this year and is definitely worth a spin. When I heard the opening cut of Doug Cox & Sam Hurrie’s Hungry Ghosts (NorthernBlues Music), a beautiful cover of Duane Allman’s “Little Martha” (one of my all-time favorite instrumentals), I knew I was going to enjoy this disc, and I was not disappointed. Cox is a multi-instrumentalist and has played with artists such as Ken Hamm, Long John Baldry, and Amos Garrett. Hurrie played with The Churls in the ’60s, opting to work and raise a family until he retired in 2001 and returned to making music full time. Having met about seven years ago, Cox & Hurrie have played together around Canada & eventually the U.S. and Europe. Hungry Ghosts consists of 13 tracks of original compositions and covers. The covers are the aforementioned “Little Martha,” a tasty mix of Cox’s acoustic guitar with Hurrie’s electric guitar sprinkled around, Son House’s “Grinning In Your Face” (with guest vocals by Ruthie Foster and Cyd Cassone), Jagger & Richard’s “No Expectations,” Tommy Johnson’s “Canned Heat Blues,” and a couple of traditional tracks (“Kansas City” and “Valse Frontenac”). The original compositions are very good also, notably “Carry Me Away,” “Cool Drink of Water,” and the closing instrumental “Red Haired Raga.” As noted above, both guitarists are fantastic, whether on acoustic, electric, slide, or Dobro. Vocally, both do a fine job, but the dazzling guitar work is what will bring you back to this one for repeated listening. Fans of acoustic guitar will want to pick up a copy of Hungry Ghosts.